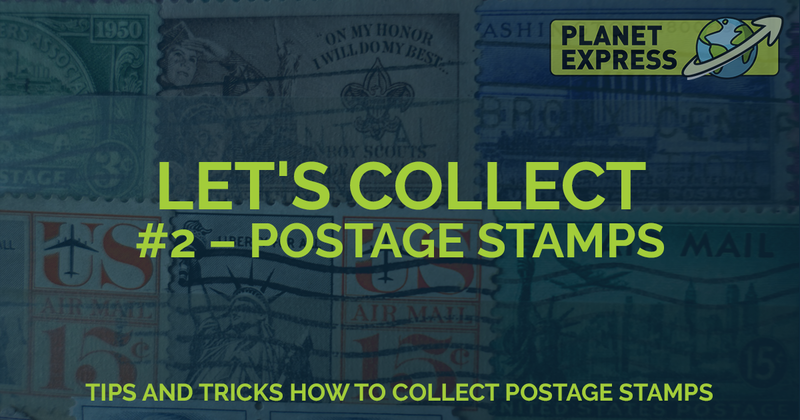 As we promised, in the second article Let's Collect, we will give you some tips and tricks on how to collect postage stamps - and how to get exclusive stamps straight from the US. But if you prefer beer, energy drinks or sodas, read the first article on collecting aluminum cans. The very first postage stamps appeared in 1840 by British Post - it's over 178 years! These stamps are called Blue Penny Stamps, the value of one of these is estimated at $ 4 million! Check out a list of other valuable postage stamps. For a normal person, it is almost impossible to get such stamps. However, you may be lucky, perhaps you will find a box that will be full of valuable postage stamps somewhere in the attic. We would like to share with you some of the tips how to collect postage stamps and how to get those from North America, more precisely from the US, even if the stamp owner or retailer does not offer international shipping. Interesting fact: The subject dealing with postage stamps is called philately..
How To Collect Postage Stamps? If you are really serious about collecting stamps, there is an easy way to start – start buying stamps. Stamps can be purchased at both post and online - it's up to you whether you want to focus on stamps from a specific country, specific colors, and so on. There are, of course, different catalogs of postage stamps, one of which is, for example, FreeStampCatalogue. We can recommend online stores like The Philately or Postbleeld. Even in today's internet time, many businesses receive letters and correspondence in paper form - even from abroad. You can ask the secretary (or anyone else in charge of the mail) to keep blank envelopes with stamps. Perhaps you may be getting stamps that are missing in your collection. Just like collecting cans, as well as collecting stamps, we recommend searching for auctions and auction sites such as eBay. Many collectors sell their collections online, so you can get a lot of stamps at a fairly good price. In general, collecting anything means that you can get a win-win situation, so you can get rid of excess stamps and get those that are missing in your collection. We can recommend sites such as TradeOnlyStamps or a Facebook groups dealing with stamp collecting. Collecting stamps is a hobby like any other, so it is clear that its supporters meet somewhere, organize exhibitions or other meetings. These meetings are a great opportunity to establish contact and conclude an agreement. For example, Praga 2018 exhibition was recently held in Prague. Does Seller Not Deliver To Your Country? Occasionally you can meet with stores and dealers who don't offer international transport - a little paradox in collecting stamps, what do you say? But do not hang your head. For reasons like this, there is our service. We will help you to get the desired stamps from the US anywhere in the world. Simply sign up for Planet Express, get an American address, and start collecting. We've already given you a few tips, but we've got some more - on the following YouTube channel, you'll learn more about stamp collecting - for example, how to sort your collection, how to find out what value it is, how to remove the stamps from the envelopes so it will not be damaged, etc. At 2 Clicks Stamps, you will find a lot of useful information about stamps collecting. Next time, after a short break, we will return again to alcohol (no we are not alcoholics), focusing on film gentlemen's drink. Have you guessed what kind of alcohol we are on mind? 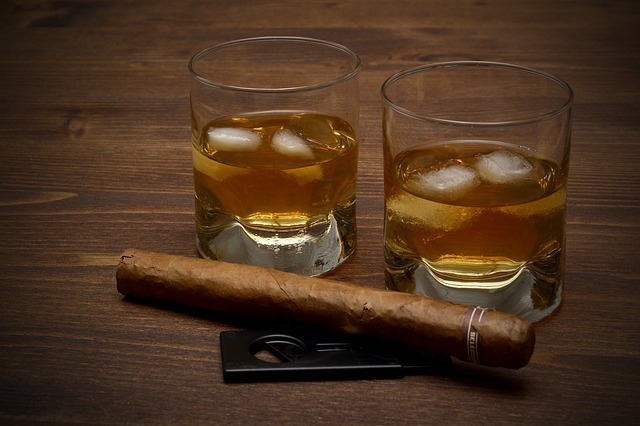 Yes, we are talking about whiskey..